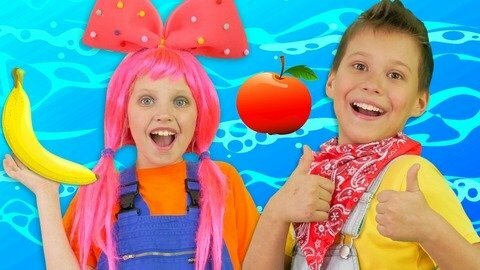 Have fun learning Mango baby songs like the Apples And Bananas rhyme for babies by singing it with Jack and Jill in this music video for kids. See them take turns in shaking the tree to catch the fruits and eat them. It is easy to memorize this nursery rhyme because of the fun actions that Jack and Jill do in this video. Head over to SeeZisKids.com to watch other entertaining videos from Jack and Jill.